Abstract: Let $R$ be a standard graded polynomial ring that is finitely generated over a field, and let $I$ be a homogenous prime ideal of $R$. Bhatt, Blickle, Lyubeznik, Singh, and Zhang examined the local cohomology of $R/I^t$, as $t$ goes to infinity, which led to the development of an asymptotic invariant by Dao and Montaño. 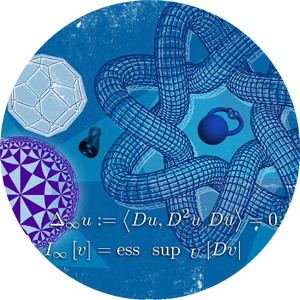 I will discuss their results and give concrete examples of the calculation of this new invariant in the case of determinantal rings.